Yesterday, Roger Clemens was formally indicted on a litany of charges stemming from alleged dishonesty in the now infamous testimony he gave before Congress on February 18, 2008. Witness for the prosecution? Roger Clemens faces six count indictment for lying to Congress, but is he just a pawn in a game of lies? The 19-page indictment charges Clemens with various counts of making false statements, committing perjury and obstructing Congress, all of which add up to a potential sentence of 30 years (although 1-2 years would be more likely). In announcing the indictment, Ronald C. Machen Jr., the United States attorney for the District of Columbia, took the opportunity to grandstand at Clemens’ expense. Considering the number of false statements that are likely made in Congress every day, Mr. Machen’s statement is more than a little amusing. Of course, it’s one thing for Congress (or a fist pounding President) to lie, but quite another for one to lie to Congress. However, that’s a political argument for another time and place. Clearly, committing perjury is a serious offense and should be prosecuted, even though the hearings involved were nothing more than a publicity stunt thinly veiled as a quest for the common good (another Congressional specialty). 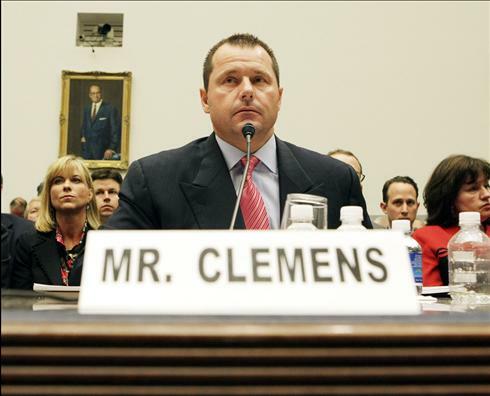 So, if Roger Clemens did in deed lie during his testimony to the House Committee on Oversight and Government Reform, he has only himself to blame for the punishment. But, what if Roger Clemens didn’t lie? Just about every media account of yesterday’s indictment was based on the assumption that Clemens is guilty. Of course, an indictment is far from a conviction, especially in cases of perjury. Contrary to the repeated mantra of baseball’s media and cyberspace elite, evidence heretofore made public does not prove Clemens’ guilt. Why bother with technicalities though? After the indictment was released, Clemens immediately reiterated his innocence via Twitter. The denial wasn’t really news because Clemens has maintained his innocence and his honesty from the very first day he was implicated in the Mitchell Report. Despite a series of legal setbacks, including the dismisal of his defamation lawsuit against Brain McNamee, Clemens has steadfastly insisted that he did not take steroids or HGH. The seven-time Cy Young wouldn’t be the first guilty man to declare his innocence, but his unrelenting response to the charges against him should be given at least a little significance. Judging by how he was as a player, I am not so sure Roger Clemens cares much about prevailing popular opinion. He probably sees the indictment against him as a hitter digging into the box and crowding his part of the plate. Although high and tight chin music won’t work in a court room setting, you can bet Clemens’ defense will be as forceful as one of his 95mph heaters. There are so many ways the Clemens could defend himself against the charges in the indictment, so it’s not really worth trying the case in a blog. In fact, Clemens could actually be guilty, but still be found innocent because of the high burden of proof attached to the charges. Although a legal feather in his cap, this reality is actually more damning to Clemens’ legacy. If most people are not even willing to afford him some presumption of innocence, an acquittal probably won’t change their minds anyway. In other words, Clemens has already been tried and convicted in the court of public opinion, which sadly requires very little in the way of evidence. I don’t expect too many to shed a tear for Clemens. He wasn’t the most popular player when he was active, so for many, his troubles are a source of amusement. What isn’t funny, however, is the toll that is being taken on the history of the game. Did Barry Bonds, Roger Clemens, Sammy Sosa and countless other stars take performance enhancing drugs? Who knows…judging by the number of players who have since admitted to the transgression, there is a chance they all did. But, does that justify the ongoing witch hunt? If there is to be blame for the proliferation of performance enhancing drugs in baseball, it should lie squarely on the shoulders of those in charge of making the rules and permitting a culture in which the use of such substances became rampant. You simply can not ignore the context in which these actions were alleged to have been committed. That’s why there is nothing to be gained by persecuting, and now prosecuting, some of the game’s greatest players, but that’s exactly the road Bud Selig decided to travel when he commissioned the Mitchell Report. Selig’s love for the game of baseball is unimpeachable, so I don’t doubt that his intentions were sincere, but when the Mitchell Report was issued, the commissioner committed nothing less than character assignation of baseball history. Incomplete and based mostly on conjecture, the Mitchell Report not only failed to put the steroid problem in the past, but ensured that it would keep popping up front and center. Yesterday’s news of the indictment against Clemens is only the latest example of this unintended gift that keeps on giving. Ever since the Mitchell Report was issued, Roger Clemens has long sought to clear his name. Ironically, it is only after a federal indictment that he is finally getting a chance. Even though it won’t restore his reputation, an acquittal on all charges would certainly serve as a form of vindication. A conviction, however, would not only destroy his legacy, but further harm the game. PEDs or not, Roger Clemens is one of the best pitchers to every take the mound. In the early years of his retirement, he should be thinking about inductions, not indictments. The real indictment, however, is not of Clemens, but of the rampant hypocrisy in and around the game itself. So many lies have been told. As a baseball fan, I hope Clemens turns out to be one of the few who has been telling the truth.